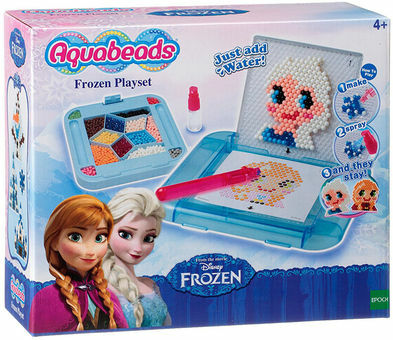 Create your favorite Frozen characters Elsa, Anna, Olaf, Ice castle, Arendelle castle, and a snowflake. Select a desigh template, place layout tray over templete and create your design. When done, spray with water and the beads will magically stick together. This set contains over 800 beads, bead pallete, design table, sprayer, layout tray, bead pen, 2 design templates and instructions.